Ride the Peninsula, no sweat! Come along to Glenfalloch Gardens between 10am - 4pm and hop on a new electric pedal-assist bike. The Otago Peninsula is rated by Lonely Planet as one of the top 10 destinations in the world - the bikes are a great way to improve accessibility so more people can explore the area and you can see it at your own pace. 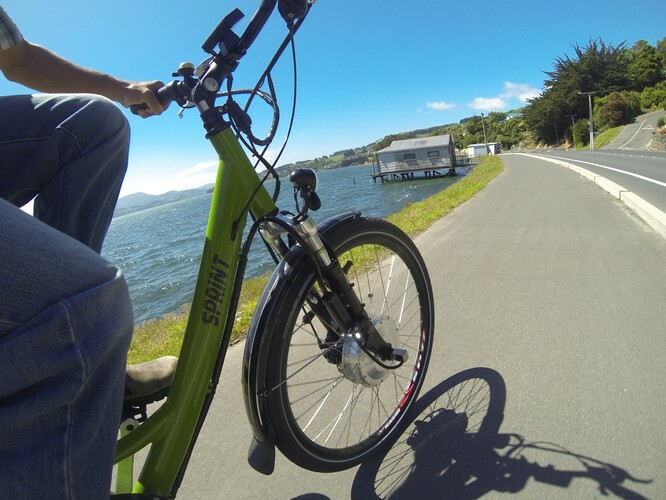 Green electric bikes at Glenfalloch Woodland Garden allow visitors to glide around Otago Peninsula with ease. The bikes are push pedal but have electric motors on the front wheel which, once switched on, allow the user to travel the peninsula with minimal effort. Tours and rentals start at the Glenfalloch Gardens Cafe.